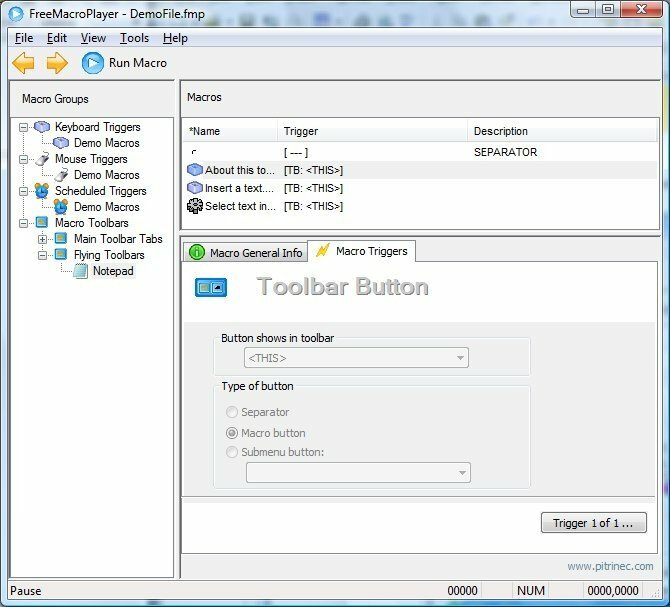 FreeMacroPlayer is a perfect free tool to run macros created in other programs by Pitrinec Software, the company in charge of its development. Thanks to these macros, you will be able to automate tasks on your computer, increasing your productivity and efficiency. 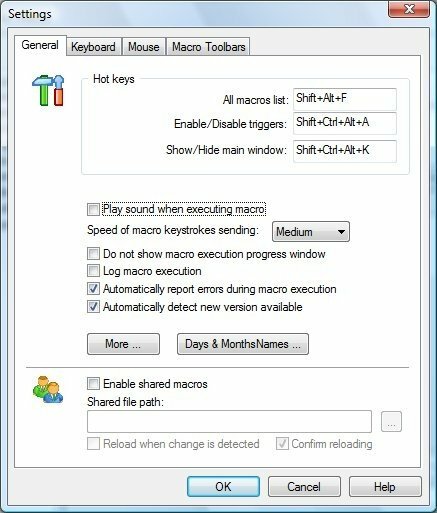 Automate repetitive tasks with a PC: creation of backups, completion of forms, download of files, answer to emails... With FreeMacroPlayer you can play macros created in Macro Toolworks, Perfect Keyboard, ClickyMouse, MacroToolbar or WinScheduler. 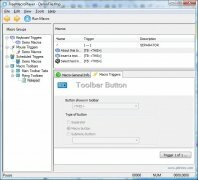 Create a macro file with any of the compatible programs. 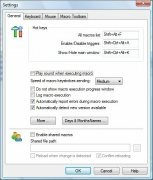 Generate the FMP file with FreeMacroPlayer. Distribute the file amongst the users. FreeMacroPlayer has an interface that organises the macros by groups. Each one can be modified with the integrated editor: it doesn't requires advanced syntax knowledge. You will also be able to protect them with a password and share them easily. 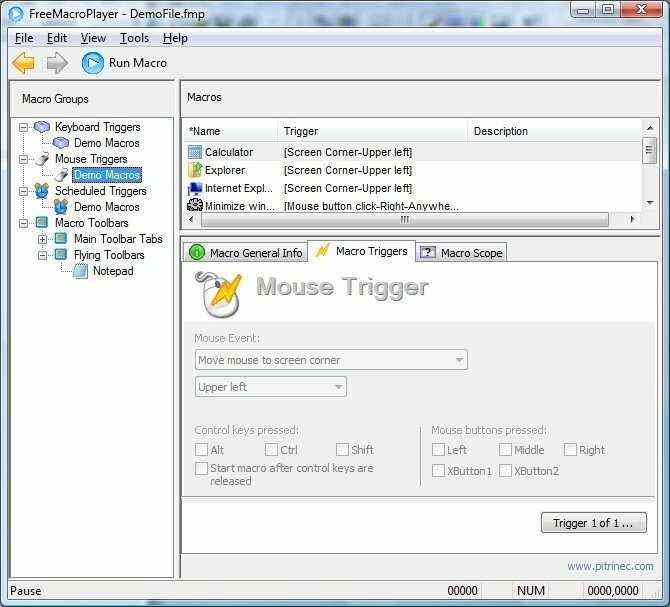 Download FreeMacroPlayer for free and discover the advantages of using macros with the programs of Pitrinec Software. 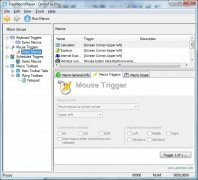 Requires compatible Pitrinec software such as Macro Toolworks, Perfect Keyboard, ClickyMouse, MacroToolbar or WinScheduler.